Here is a list of some of the best things happening around Bergen County this great fall weekend. Welcome in fall with the Kilmer PTO Fall Festival. There will be a bouncy house, cake walk, music, temporary tattoos as well as games with prizes. Pizza, drinks and candy apples will be available to purchase. 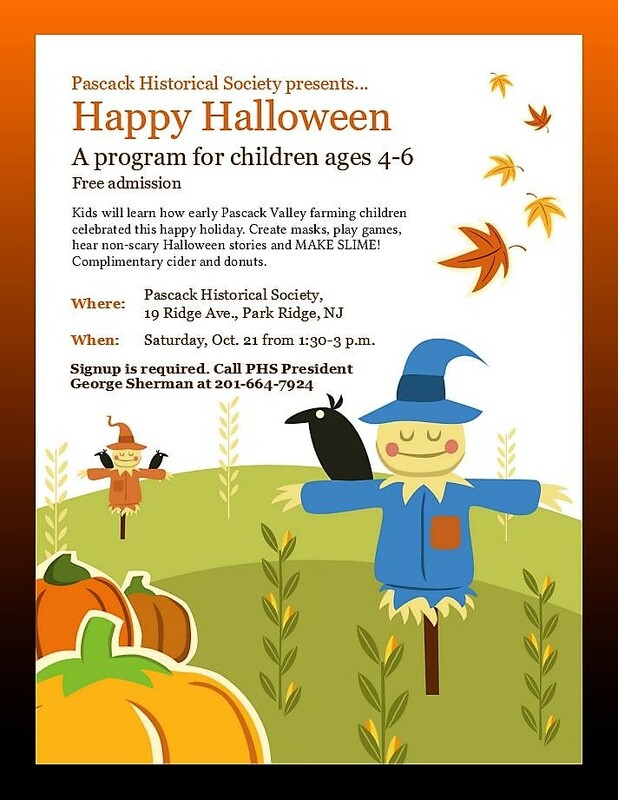 Designed for kids ages 4-6, this program will teach your kids how early Pascack Valley farming children celebrated Halloween. Kids will enjoy making masks, playing games, hear non-scary Halloween stories and make some slime. Complimentary cider and donuts will be served. This activity is FREE. Get ready for the annual St. Thomas Armenian Church Food Festival & Bazaar in Tenafly. The festival will feature delicious homemade Armenian and Mediterranean specialties. Vendors, games and entertainment for the children will be available as well as specialty vendors. Enjoy the Street Fair and special offers by Tenafly restaurants. Come hungry. Rain or shine head to Rivervale for the Annual Ragamuffin Parade. In addition to the parade, there will be a costume party and magic show. Harvest Homecoming will take place at the historic New Bridge Landing. Enjoy pumpkin picking, learn the art of broom making and more.